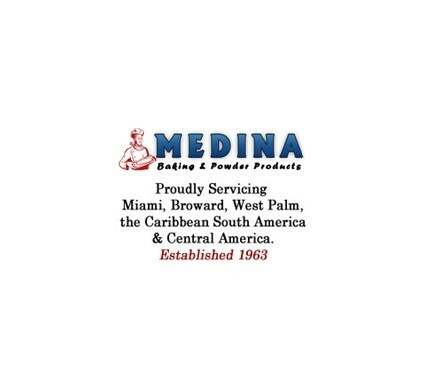 Medina Baking & Powder Products is one of South Florida’s largest bakery, and in-store supermarket wholesale suppliers. 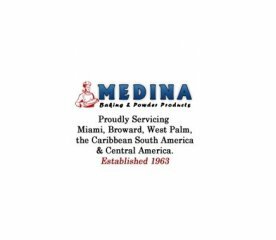 Medina Baking is family-owned and operated and has been proudly servicing our customers since 1977. Over the last 40 years Medina Baking has grown exponentially, however we’ve never lost our core principles of providing our valued clients with quality products, excellent service, and personal attention. Medina Baking is a trusted, well-respected industry leader working in partnership with many standard-bearers in the baking industry. We represent hundreds of products from industry giants like General Mills, Bay State Milling, Fathers Table Cheesecakes, H.C Brill, Henry & Henry, Maplehurst Bakeries, Flavor Right Products, Cloverhill Bakeries, Rich’s Products, and Cyril’s Bakery Products.